Highlighting crisp and simple interiors, Starwoof Residency provides its guests with living arrangements that suit every travellers need. With the basic amenities down pat, the hotel is also situated close to popular and intriguing sights. The rooms are nicely designed with neutral curtains, wood work, and bright cushions. 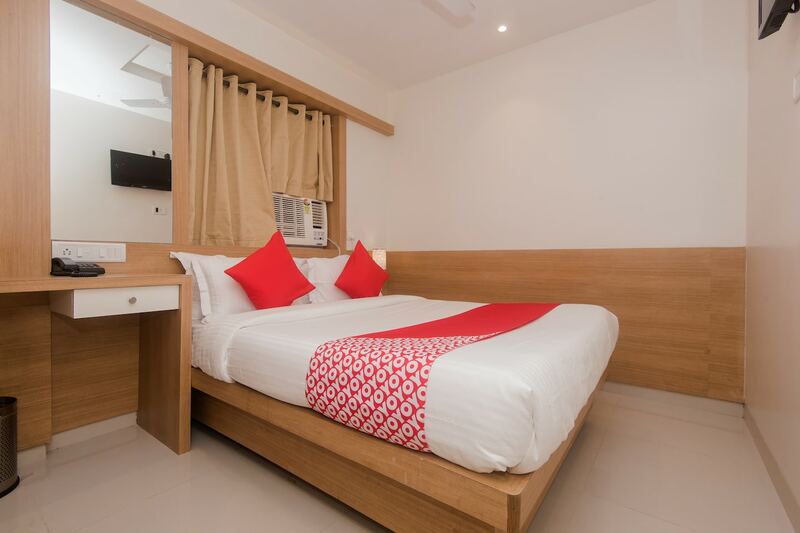 Furnished with amenities that are essential for a comfortable stay, the rooms are super clean and well-lit. The hotel provides laundry service, seating area, and free Wi-Fi to all the guests. The wonderful property has attractions such as Nerul Lake and Walkway, Jewel of Navi Mumbai, and Pandavkada Waterfall a short drive away. If youre up for some street food, then explore the neighbourhood for decadent choices.